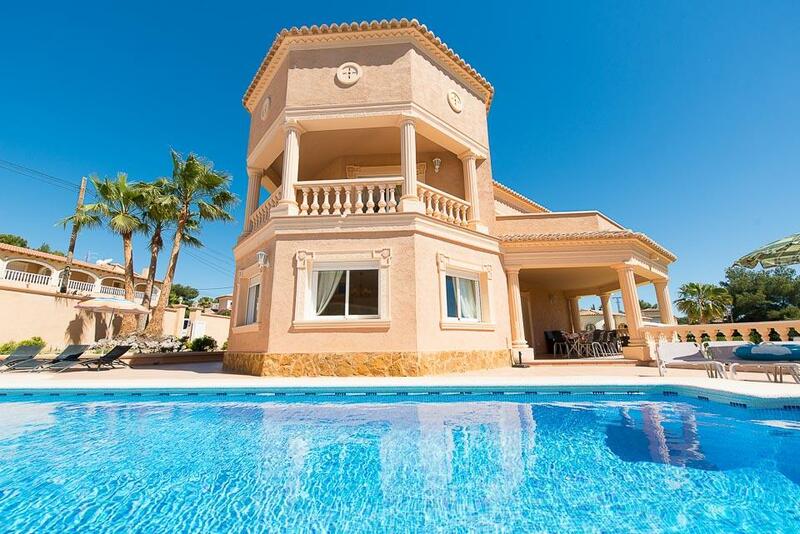 A striking and well appointed villa located close to the family friendly sandy beach, marina and resort center of Calpe. Villa Adoracion is a spectacularly spacious villa, boasting a fabulous private swimming pool, its very own tennis court and is located less than a 20 minute stroll from the Blue Flagged sandy beaches and extensive resort facilities of Calpe. Seldom have we come across such an impressive holiday villa, the comfortable living space and a number of en-suite bedrooms makes this an ideal villa for large families or groups of friends travelling together, and the private swimming pool with its attractive circular roman steps access is with one of the nicest we have seen. Another unique benefit of this truly splendid home is the private tennis court which the owners have cleverly built in the perfect position, making it possible to spectate both the swimming pool and tennis court at the same time from the privileged vantage point of the al fresco dining area, what better place to enjoy a glass of chilled wine as the younger family members build up a sweat. You enter the villa via a white gate (107cm wide) with a small step down; there is also a large sliding gate on the drive which is on same the level. From here you can access all of the terrace, garden and pool. There is one small step up onto the porch to reach the front door (72cm wide) which leads to an open plan kitchen/diner and lounge. A small step over the rim of the patio doors (86 cm wide) in the lounge lead to the terrace and pool area. The pool has 6 roman steps and there is one small step up onto the covered terrace. 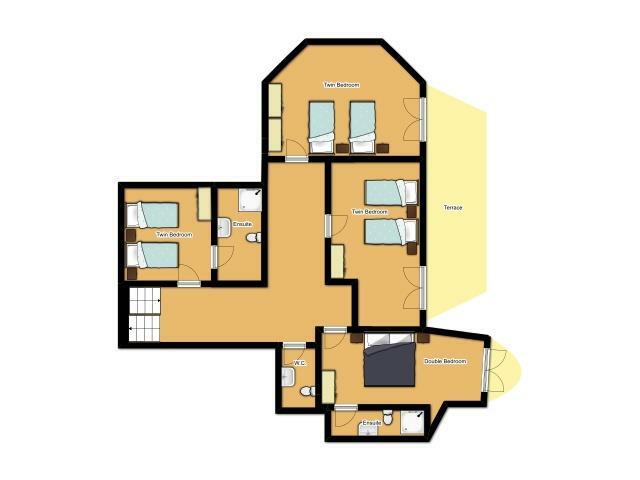 Also on the ground floor there is a cloakroom (door 68cm wide) a double bedroom (door 68cm wide) with an en-suite bathroom (door 68 cm wide). Bedrooms 2, 3, 4 and 5 are located on the first floor up a double, curved flight of stairs. This statement has been provided to help our clients make an informed decision on villa suitability prior to booking should they or any member of their party suffer from any form of reduced mobility. However if you have any specific requirements please contact us prior to booking and our dedicated Travel Consultants will be happy to help. The villa is amazing and exactly, if not better than the photos. We travelled as a family of 6 adults, 2 children and a baby and found the villa really spacious and well equipped. The only thing we had missing was a highchair but after a text to the rep (who responded almost immediately), one was delivered to us straight away. The surrounding area, beautiful beaches, restaurants are worth the walk. When walking back from town at night when you turn off the main road it's quite dark so a torch is recommended. Wouldn't hesitate to return we all had a great time! Villa Adoracion was quite simply superb. It had everything. Near to the beach, supermarkets, along with some great restaurants nearby. A great pool and tennis court something to suit everyone. I would however definitely recommend transport. Sadly the weather last week wasn't the best but the Villa made up for it. Cannot recommend our stay enough. Will definitely be back. I just want to let you know that we had a lovely week in Villa Adoracion, Calpe and the Villa was wonderful. Your directions were perfect and we had no trouble finding the Villa. We would certainly intend to return at some stage. The villa is beautiful, pool and outside area great. The villa was spotlessly clean on arrival. The villa was very spacious and exceeded our expectations. The pool was large and in the sun for most of the day with plenty if outside furnuture, The kitchen was well equipped and included 2 fridge freezers, but could of done with a baking sheet for the oven. Lots of glasses and crockery and a very efficient dishwasher, The lounge and dining area was adequate for us but a few scatter cushions would not go amiss and help with the comfort of the sofas. The bedrooms with ensuite were very nice with plenty of cupboard and hanging space. The decor of the villa was in excellent condition. I would recommend the villa for holidays. lovely clean and spacious villa in a lovely quite area of calpe. already thinking of returning next year. Beautiful villa in a stunning location, spotlessly clean , amazing pool although fine for us as a group of adults maybe not for small children as no shallow end. Calpe is a lovely resort with just enough going on and the old town is just lovely. 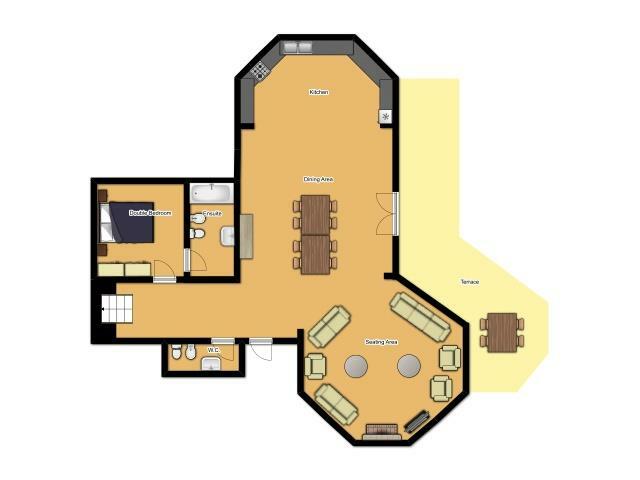 Size of communal areas downstairs, pool and outside space. The villa was big and had plenty of space and the pool was the biggest we've had too. We've been to Calpe a few times now and really like the resort. The villa itself was fabulous. Very spacious, lovely and bright with lots of natural light. Pool was great, tennis court a nice bonus. The villa was spacious and in a lovely setting. Food and drink was a 15 minute walk, however my mother is 78 and struggled on the way back. We booked this villa for 6 adults and one child, it was just perfect. the villa is very spacious as it looks on the photos. the pool was great and we also used the tennis courts. there was plenty to keep the little one occupied. Rated: Excellent. We booked this villa for 6 adults and one child, it was just perfect. the villa is very spacious as it looks on the photos. the pool was great and we also used the tennis courts. there was plenty to keep the little one occupied. The bedrooms are all spacious and all have aircon, which we needed at night trying to get ready to go out to the promenade, where there are beach shops and some nice restaurant's with some good cocktails. Its about 25 minuets walk to the beach promenade a bit of a track going back as it is up hill and dark, but after the cocktails it was no problem. I would recommend this villa, and would most defiantly would go back, love Calpe. Great pool, lots of space for a big family. Short walk down to the beach. Rated: Good. Great pool, lots of space for a big family. Short walk down to the beach. Rated Excellent. As usual exactly what we wanted.It was very peaceful not to far from the centre no car required. Rated Excellent - This is the first time I have stayed in a villa abroad. On arrival the villa was spacious and spotlessly clean. Everything was catered for from utensils to extra bed linen. There was even a small child buggy in the cupboard. The villa sleeps 10 people and we went as a party of ten (ages ranging between 3 and 75 years) No matter which room we were all in at any one time we did not feel cramped. Even at the dinner table sitting 10 of us was very comfortable. I would highly recommend this villa to all. However it breaks my heart to have to say this as everything was so perfect, I think it needs to be mentioned that the villa is at the very top of the hill therefore people with limited mobility would find this a problem. Please all go to the 'Biker Bar' on the roundabout with the supermarkets on as the owner Laura was excellent and very friendly, a nice pint and also nice food, and you get nibbles like cheese on toast served free with your drinks. Prices in supermarkets very reasonable however a taxi back up the hill with the shopping cost 11 Euro bearing in mind they had 9 Euro on the bill before he even took us anywhere. to be fair it would be cheaper to hire a car for the day rather than get a taxi, even if it was just to get that initial first shop in. Highly Highly recommended. Please let people know that the villa is at the top of the hill and a good 20-25 minutes walk for people with mobility problems to the nearest supermarket. Rated Excellent. Solmar villas are the best we have come across. I will use solmar for every holiday and I go away twice a year. The villas are well located and within walking distince to shops, bars and the beach and everythin is so child friendly. Rated Excellent. The villa Adoracion is a very nice spacious comfortable villa .I would highly recommend it, we really enjoyed our stay. Rated Excellent. The villa was fantastic, clean, spacious, and within walking distance to the beach and shops. Add to that air-conditioning, warm pool. Just returned from a very nice stay at the Villa Adoracion. Thanks to the good road directions in the travel docs from you, we hit the location straight on. The villa itself was perfect, clean, appeared as in the pictures, a pleasant location in all aspects. We enjoyed the tennis court, the pool (nicely and often cleaned) and the barbeque to the full. Credit also for the smooth arrangement of the keys in the coded box, no hassle with check-in/out. Planning on booking next year too. I just want to say a big thank you, we had a wonderful holiday, the villa was an absolute knock out - we couldn't have asked for better, it was huge, clean, very comfortable and had everything we needed. Even with 9 of us in there we never felt over crowded. Of all the girlies holidays we've had (and there have been a few !) this has been the best yet. I would thoroughly recommend Solmar villas and the Adoracion. Everyones' reaction was wow when we came through the front gate and it just got better and better, which was a relief as I had organised it this year. The area the Villa was in was very peaceful, a bit of a trek back from the supermarket with the shopping. One thing I would recommend is to get to the supermarket early on in the day and get them to deliver your shopping which costs 4 euros. One thing we really enjoyed was the boat trip to Benidorm, although we were very glad to get back to the peace and quiet of Calpe - are we getting old! Once again thank you very much for making our holiday and I'm certain we will be using you again in the future. My feedback of the villa holiday can be summed up in one word - FANTASTIC. The villa was exquisite and trully luxurious - we had no complaints whatsoever and will definitely recommend your company. The palatial Villa Amancay is so stunning, you’ll feel like you have your own boutique resort! Designed in Spanish, colonial style, this five-bedroom has lots of white archways, a cream exterior and terracotta roof. The swimming pool runs almost the..